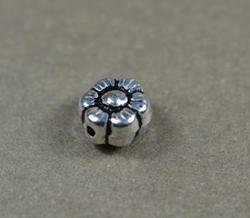 We bring forth a fascinating collection of Silver Spacer Beads that is used for embellishing silver jewelry. 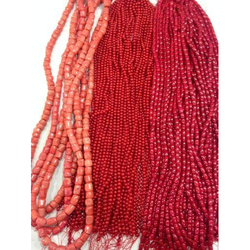 Fabricated using high grade silver, these beads have become highly in demand in the market, owing to their high quality and affordable pricing. These Cloisonne Bead are available in various fancy shapes such as rondelles (spacers), ovals, saucers, bicones, tubes and teardrops. We also have Cloisonne Bead that are available in range like round beads, plain and fancy, corrugated, tubes, liquid silver heishi in gold-filled and rondelles (spacers). We are offering high quality range of Silver Bead. This range is available in various heart touching colorful designer patterns. The alluring designs of our range are sure to match the various momentary fashion tastes and always remain in style. Our range exhibit the true blend of art and perfection.